One of Greater Victoria’s Western Shore municipalities, The City of Langford is undergoing rapid growth. 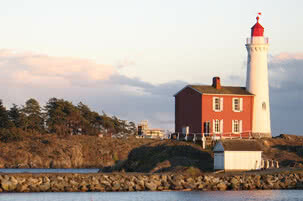 Centrally located amidst the District of Metchosin, The City of Colwood, the Town of View Royal, the District of Highlands and the Juan de Fuca electoral area, it was only recently incorporated(1992). Langford takes its name from Captain Edward Langford, and was settled by Europeans in the mid 1800’s when a farm was established here to supply Fort Victoria and other Hudsons’s Bay Company outposts. Development was slow in Langford for a long time, a negative reputation and poor infrastructure hampering growth, but no longer. Local government has invested in improving traffic corridors and encouraging business and the response has been phenomenal. Commercial and residential developments have proliferated, and Langford boasts one of the fastest rates of growth in the country, posting a population increase of 19.2% between 2001 and 2006. 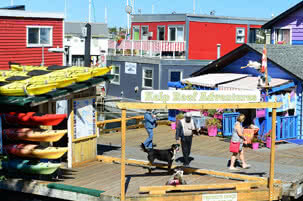 Due to expansion and its central location, Langford is becoming the commercial core of the Western Shore. Residents of Langford and the neighbouring municipalities no longer need to journey to Victoria for choice shopping, it’s right here! 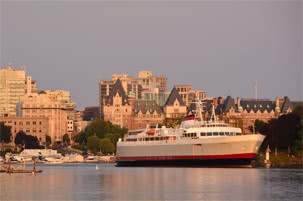 The Victoria International Airport and BC Ferries are close by when you need to get out of town. Homes in Langford are more affordable than Victoria, and all manner of housing can be found here; condos, townhomes, single and multifamily residences. Although focussed on providing affordable options in housing, there are also neighborhoods containing luxurious homes, lakefront properties, even some country estates, small acreages and hobby farms. 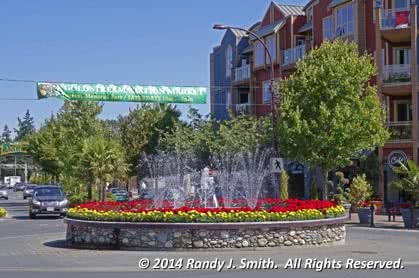 Near the commercial centres homes benefit from the pedestrian and bicycle friendly design that Langford has promoted. There are specific development projects underway that meet high standards of sustainability and social equity, pioneering a new approach to development in Canada. Heritage Trees on Humpback Rd – These were planted in 1886 by John Phair, the owner of the Goldstream Hotel, to mark a path from the E&N Goldstream Railway Station to his hotel. Happy Valley Lavendar & Herb Farm – This property has been farmed by the same family for the last century and the lavendar flower has significant meaning for the City of Langford, appearing throughout city plantings and in the city’s crest. Luxton Fairgrounds – The site of the agricultural Luxton Fair, since it was purchased by the Metchosin Farmers’ Institute in 1928. Loma Linda House – Built in 1914 by Fred Barker, owner of a sawmill company. This home displays impressive architecture with its gambrel roof, dormers and portico entrance. Pagoda House – About which little is known, though it is thought to have been built circa 1924 as a summer house or office for the Japanese consul. The distinct turned up corners of the roofline are certainly a landmark in the community. Goldstream Provincial Park – Famous for its 600 year old Douglas Fir and Cedar trees, and the annual salmon run of Chum, Chinook and Coho which attracts people, eagles and bear to witness (and feed on) this amazing natural event. There are miles of trails, some of them quite accessible, for the adventurous the hike to the top of Mt. Finlayson offers dramatic views, but be careful not to stray from the steep pathways, the moss covered rocky cliffs are dangerously slippery. Goldstream Park also offers camping, and seasonal interpretive programs at the Freeman King Visitor Centre. The Galloping Goose Regional Trail – A multi-use trail of 60 km’s that links several municipalities, “The Goose” offers a safe route for bicycle commuters as well as walkers and joggers along what was originally a rail service from Victoria to Sooke. Mill Hill Regional Park – Tucked away, this oasis of nature encompasses 71 hectares of Fir, Arbutus and Garry Oak forest, and in spring and early summer gorgeous wildflowers bloom. Trails lead through the forest to the summit of Mill Hill where you will find Views of Esquimalt Harbour, Victoria and the surrounding hills and mountains. Mt. Wells Regional Park – Established in 1996, is largely an undeveloped reserve, aquired by the Capital Regional District to safeguard the sites’ natural integrity. There are challenging trails that will take you to the summit for sweeping views of Juan de Fuca Strait, Victoria and the Sooke Hills. Langford has grown into a polished vibrant city with a great future. The amenities, fantastic climate, and opportunities for work and play combine to place this community near the top of the list of most desirable places to live in Canada.